Today, I was reminded it’s Martedi’ Grasso, Mardi Gras, on facebook. All my Italian friends posted pictures of the parties they had just attended and I felt left alone. 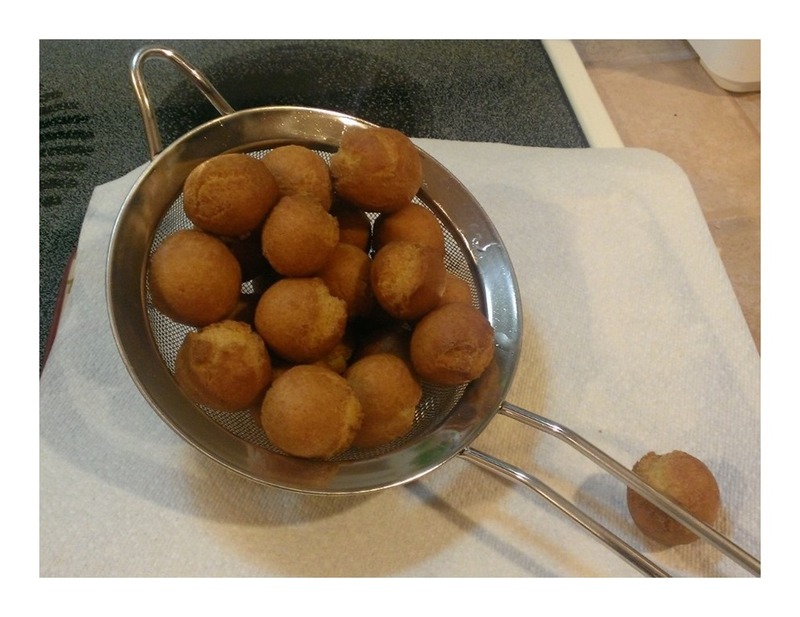 So, I baked some deep fried goods. Soften the butter and then mix all the ingredients together . Work the dough until a firm ball forms. 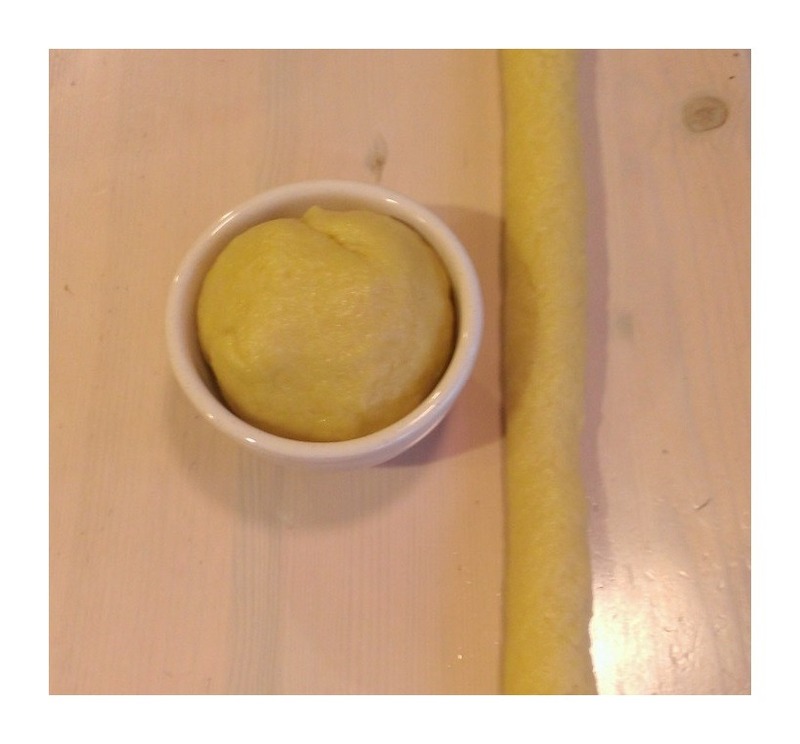 Roll the dough on a working surface and then shape several thin logs. 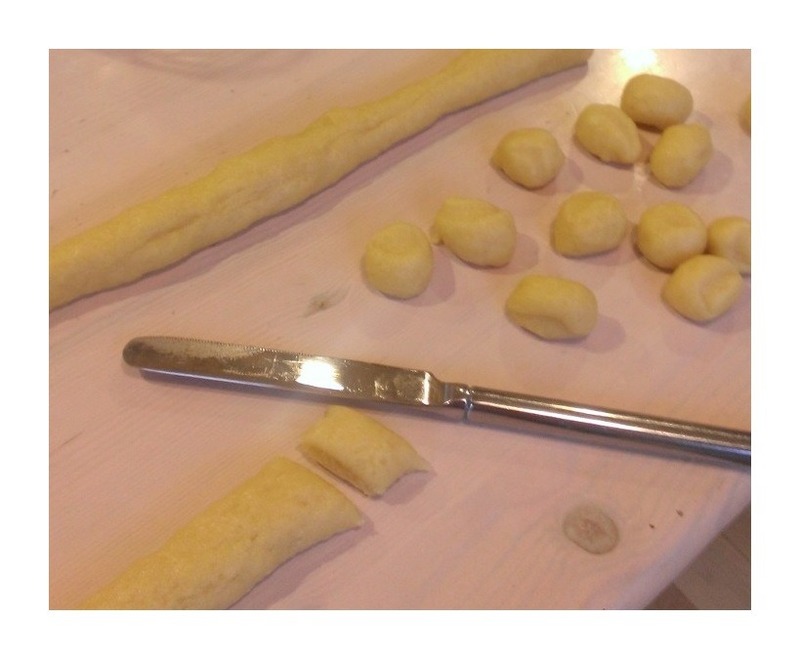 Cut the logs in small pieces and roll each piece between your fingers to make small balls. 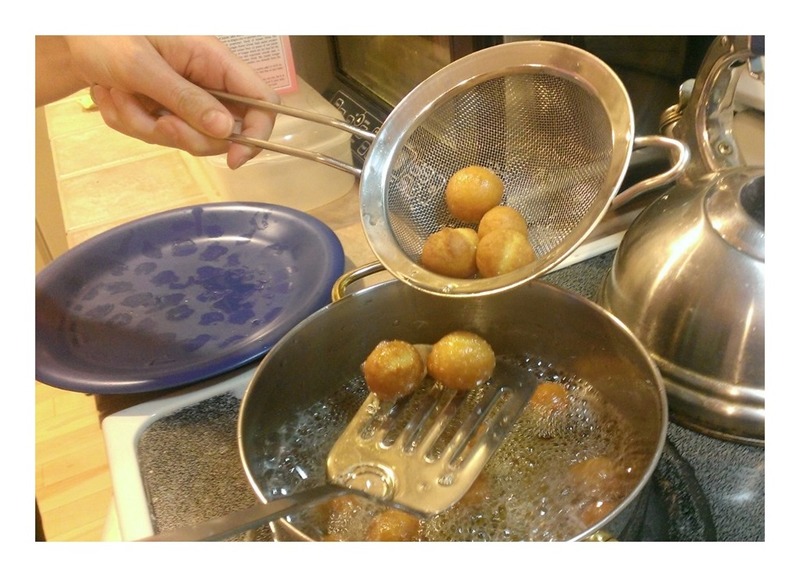 Meanwhile, pour the vegetable oil in a pan and let it reach frying temperature. 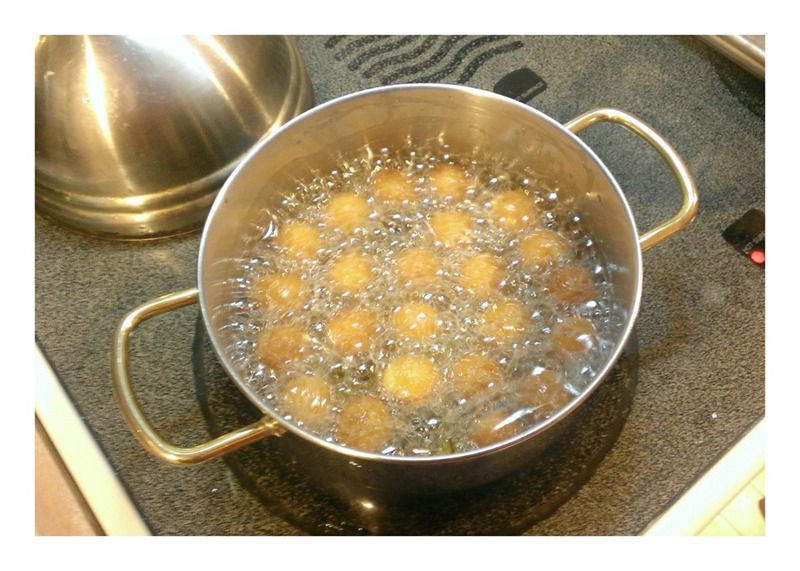 Then, deep fry the castagnole for a few minutes until they are golden brown. 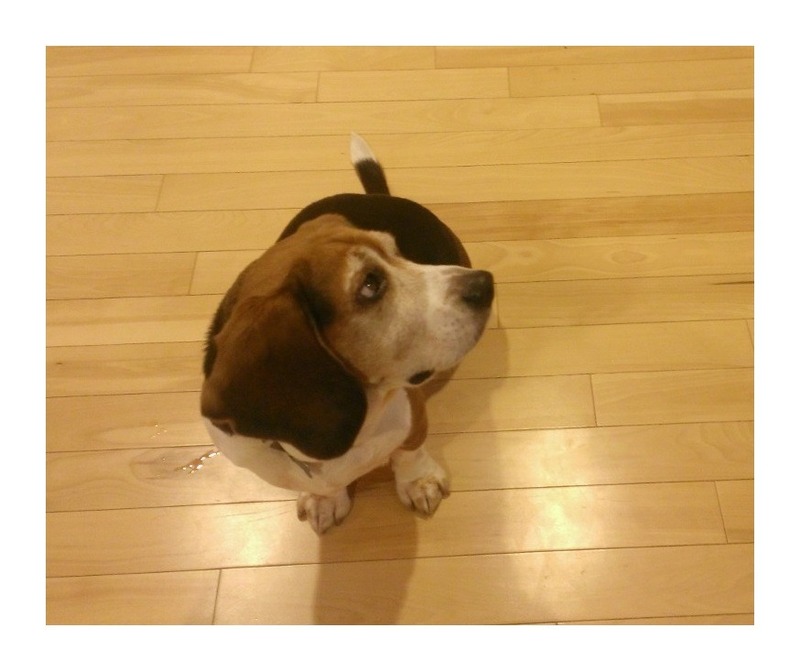 If you have a dog, he’ll probably wait patiently behind you, hoping for some castagnole to fall on the floor. 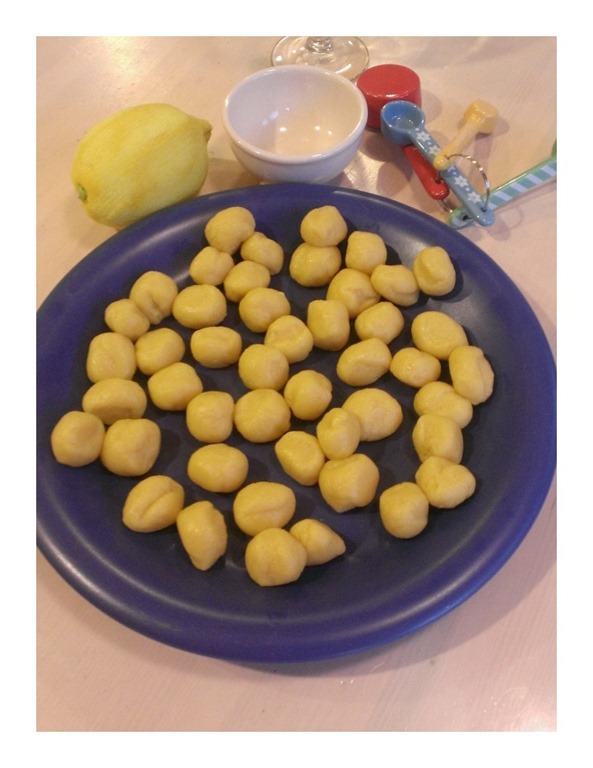 Let the castagnole dry on a baking tray if you have one, otherwise get creative. 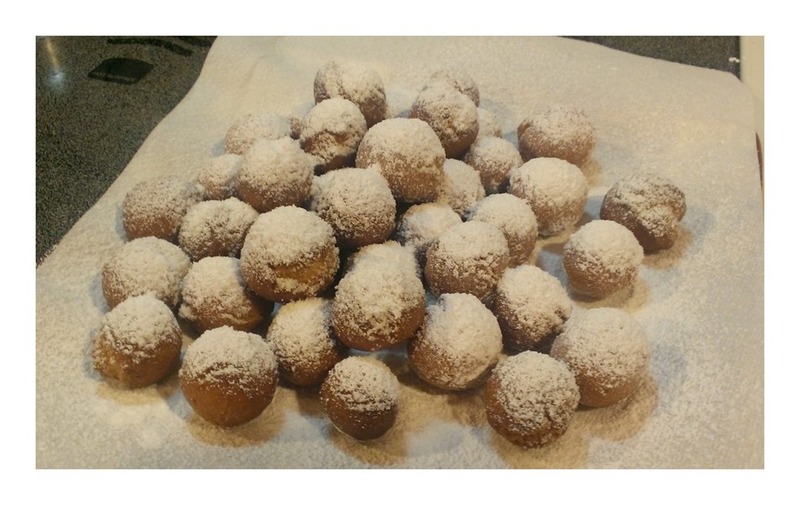 Dust the warm castagnole with powdered sugar and enjoy. Have a fantastic Mardi Gras!